When it comes to SEO, you’ve heard all old saying’s like ‘SEO is dead’, ‘Google has banned SEO’, ‘SEO is a waste of money’, etc, the list goes on. I usually hear these things from people who have little insight into the industry. If you’re looking for some hard evidence to convince your business partners or bosses that SEO is a good place to invest your marketing dollar, then you’ll love this infographic. “The top spot on Google gets 36.4% of all the clicks (#2 gets 12.5%, #3 gets 9.5% and then declines sharply after that”. This is important and shows the value of a higher ranking. More importantly is the authority of a site and how Google sees a site as being a leader in the industry of geography. More authority and you’ll ranking for hundreds of terms. Yep. It’s still the number 1 research hub for pre-purchase snooping. 3. Far More Clicks Go to Organic than Paid Ads. “Data from SEO giant Moz indicates that organic search gets over 90% of all the clicks that occur in US search results. People overwhelming click on organic listings over pay per click ads. In some studies, up to 94% of users clicked on organic while 6% click on ads”. It’s good to see data for this. I don’t click on ads and a lot of people I talk to don’t either. Don’t get me wrong – ads work when done well but I like to see the naturally ranking sites, not the ‘I’ve spent more for this ad” site. “In 2016, business around the world are projected to spend $65billion on SEO and this will hit $80 billion by 2020”. “Google trends data shows SEO blowing other inbound channels out of the water”. Despite all the chatter about the latest and greatest lead generation services, Google search and SEO still lead the pack by a huge margin. “In 2015, SEO was #4 on LinkedIns list of top skills that got people hired”. Related to the current boom in businesses realising they need SEO support. The recent 2016 results show SEO still in the top 10 coming in at 9. “Search Engines send an enormous portion of internet traffic (over 25%) and is growing faster than any other channel apart from direct visits”. As long as there are search engines, they’ll be search engine optimisation. “Not too long ago, very few companies had an SEO team, let alone though about SEO. Today there are thousands of companies with dedicated SEO teams”. Not just an outsourced skill, the larger the organisation, the more likely they’ll have whole teams dedicated to SEO. “SEO jobs and salaries continue to increase with a an SEO manager salary increasing 26% when comparing 2012 to 2015 data. SEO jobs overall grew 18% in this period”. I suspect they’re coming from a small base here. 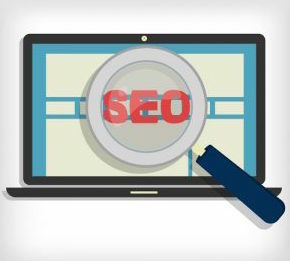 SEO has long been a poorly paid salary for in house providers but more and more companies are hiring SEO specialists. SEO has been likened to investing in real estate: a long term investment that can provide a massive return when you hit the top 3 listings in Google. I see this time and time again. The longer term clients get a compound effect from consistent SEO and website promotion which in turn multiplies their ROI.